As promised, here are the individual PDF articles published in January 2009, collected together in a single download. 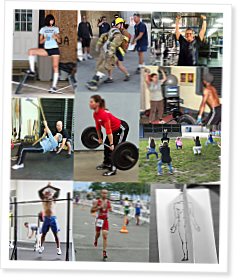 Page 46 - Bakshi - Will CrossFit Make Kids Smarter? The individual PDF articles published in November 2013 are collected here in a single download. The individual PDF articles published in May 2010 are collected here in a single download. This is fantastic. I know that I have missed articles with the new format and that was my only issue with the great 3.0. Great job, any Crossfitter that is without the journal is doing themselves a great disservice! Amazing, Thank you for putting so much in one place. It is awesome having these compilations bringing related articles together in one place. Once again you guys are really using the power of the web to provide the very best to CrossFitters around the world! Thanks so much!